Hooray, summer is almost here! I love everything about this season… the celebrations, baseball, hiking, biking, flip-flops, but mostly the warm sunshine. Back in the day you’d find me catching rays on the beach or in my backyard for hours at a time. I’d douse myself with baby oil (sometimes laced with iodine) and hold an album cover wrapped in foil under my face to reflect the sun… I was determined to look like those bronzed beauties in the Coppertone ads! I worshipped the sun. My brother even called me the “Sun Goddess” (knowing him it wasn’t meant to be a compliment). My grandmother would always expound on the dangers of sun tanning ― “stay out of the sun, it’s bad for you!” She was a nurse so I guess she would know. But did I listen? Of course not, I was a teenager! Magda from There’s Something About Mary, 1998. 20th Century Fox. My quest for the perfect beach-worthy tan followed me into my 20s, 30s and early 40s. By my mid-40s, the effects of all that sun exposure started to show up on my face and hands in the form of wrinkles and big ugly freckles. Yikes! I decided then it was time to heed my grandma’s advice before I turned into that Magda character in There’s Something About Mary! I began reading about UV rays damaging your skin and it really started to sink in. Never mind the wrinkles and freckles; it’s skin cancer you really need to worry about! After that I started looking for safer ways to attain that golden sun-kissed hue. Going to a tanning salon wasn’t an option (apparently artificial rays are just as bad), so I did some research on self tanners and decided to try one. I must say I was pleasantly surprised. After a few applications, my skin tone changed from milky white to soft caramel. What a relief! Now I can look like I spent my summer at the beach instead of inside a cave, without putting myself at more risk for skin cancer! Obviously some brands are better than others, but suffice it to say today’s self tanners are notches above the old formulas that turned your skin neon orange, like you just crawled out of a giant bag of Cheetos! I found out the hard way you need to follow directions to a tee and make sure you exfoliate and moisturize your skin a few days before you apply the tanner. Otherwise, you’ll end up with unsightly streaks or blotches – not an easy fix, believe me! Click here for step-by-step tips on applying self tanner. I love this product because it goes on smoothly, dries quickly and works gradually, allowing you to build up a subtle, natural-looking tan in about three days. You can get it in a lotion, foam or pump (I’ve only tried the lotion) and it comes in fair to medium and medium to tan. Some have SPF 20 UVA/UVB protection and there’s also a firming solution that helps diminish the appearance of cellulite ― I’m all for that! Available at drug stores, discount stores, and Walmart.com. This product distributes a fine mist where you want color and can even hit hard-to-reach areas like your back. And because you don’t have to rub it in with your hands, no orangey palms (a telltale sign your tan is fake!). I just tried this one a few days ago and it seems to be working. I like that it dries fast too! 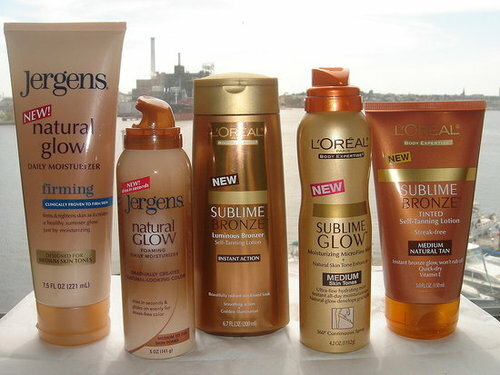 L’Oreal offers several kinds of self-tanning products. Click here to see the full line. This oil-free lotion is enriched with Aloe Vera and Vitamin E and has self-adjusting color so you can go from a soft honey to a rich bronze. Good for all skin tones. Available at discount stores, drugstore.com and Amazon.com. This one costs more than the other brands, but apparently it’s worth every penny. It comes with a professional mitt that allows you to glide on the liquid with even strokes for an instant, streak-free tan. There’s also a dual function cosmetic bronzer that shows you where the liquid goes, for easy, flawless application. It’s fast drying and long-lasting too. 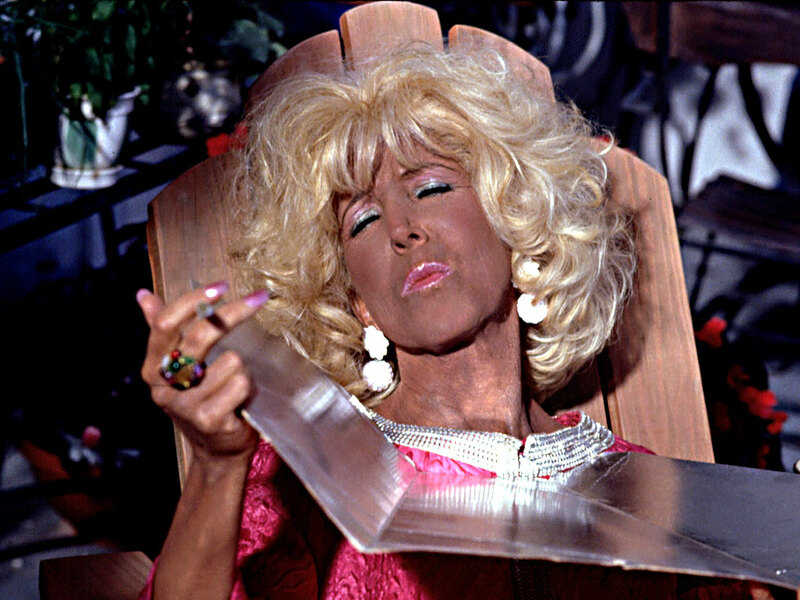 I recommend testing a few different self tanners to find one you like. Click here for more about self tanners and choosing one that’s right for your skin tone. One last thing… some sunlight is good for you (vitamin D and all that). Just make sure you use sunscreen whenever you’re outdoors, even if it’s cloudy. Better yet, find a self tanner with sunscreen. Okay, now you’re golden…time to brave the swimsuit! – Catherine B, a Smart Perks employee, enjoys her work, but is looking forward to retiring so she can write whatever (and whenever) she wants at home in her pajamas.